Free educational materials you can receive through the mail. 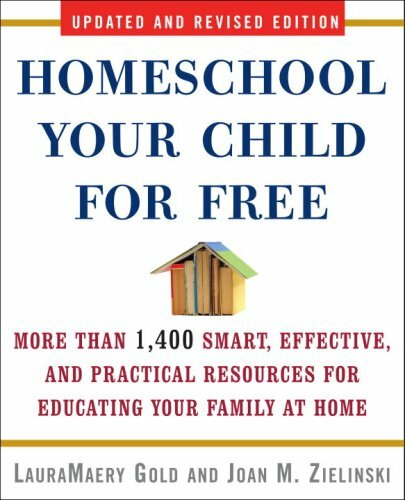 Free Homeschool Curriculum: Home school materials can be expensive, low cost or for free. Take care not to spend so much that you can’t change course while you take time to plan for the future. You will be learning and making changes. Take advantage of these opportunities to borrow educational materials or to get some free supplies outright for your homeschoolers. Check with your home school program provider for free supplies. The rest of this site has free and inexpensive online homeschool curriculum, lesson plans and worksheets. This page has internet locations for ordering free, physical materials, curriculum and supplies. Get homeschooling and educational curriculum for often just the cost of shipping. Free material that is available online only is under the relevant page elsewhere on A to Z Home’s Cool. Use the menus, alphabetical site index or site search engine above to find free internet resources. This site is packed to the gills with free online resources! Provide a solid education at home without breaking the bank. Free Kindle ebooks and Android apps. You will need less than free devices to use them on. Websites that have planning home schools can use. The structured lesson plans are helpful. Usually these have goals and objectives and meet state standards for home schools. Provides services to benefit students who are blind, visually impaired, deaf, hard of hearing, or deaf-blind. Available to schools and families and are a free-loan library of described and captioned educational media and information related to accessible media. U.S. Department of Education funded. 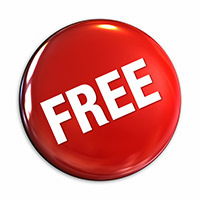 Free or nearly free booklets from the government for learning activities, college planning, parenting concerns. Cover a huge range of subjects for families, homeschooling, bullying, colleges, distance and local school type activities. Made up of many individual groups across the globe, it’s a grassroots movement of people who are giving (& getting) stuff for free in their own towns. Each local group is run by a local volunteer moderator (them’s good people). Membership is free. Don’t miss out on all the goodies! Join our Subscriber Exclusive email list now and IMMEDIATELY receive a Bonus Freebie Toolkit, plus our weekly sneak peek at upcoming resources and “Subscriber Exclusive” Bonus Resource Links (which are NOT posted on our site) all year long. Never miss another resource. Kindness to animals. Videos, DVDs, lesson plans, worksheets all free to network members. About how to affect the kind treatment of all animals. Free computers for low income families, free used and recycled computers, used computer hardware, free PC’s, computers for the classroom, free computers for the disabled and so on is a post I started in 2008, because I understand not everyone can afford to buy a computer. Computers have also become an important part of education and society making them essential for a household to have one. Angie’s Angel Help Network. If you are running a home business, an association or large support group, a resource center or cottage school, you may qualify. You must buy all ink through them, and report on your usage. Homeschooling is a perfect enviroment for learning the value of utilizing business resources offered to the educational community including home schools. Connecting people and organizations with computers is Free Geek’s mission. Here are some ways you can get a computer from us at little or no cost in Portland Oregon. We are a registered Canadian charity that collects, refurbishes and re-distributes donated computers to children in need. Our computers are given free of charge for use in homes, schools or community centers. The program is currently based in the Greater Toronto Area. Use the Non-Profit Locator below to find charities and schools right down the road that are in need of equipment like yours. See if you qualify for a nearby charity receiving these computer. Not available directly to homeschoolers. Microsoft product policy has defined a homeschool program or student as a qualified educational user. This allows NFS to provide academic products and discount laptops to homeschool families at the same price and with the same software as traditional public school facilities. Presently NFS supplies thousands of laptops to public schools and now we can do the same for homeschoolers. Simply stated, we here at NFS are very excited with our new Homeschool Program. A global education and environmental nonprofit connecting more youth in developing countries to the skills, opportunities and understanding of the internet. View, download as .pdf file, or send away for brochures about milk. Also available in Spanish. Order free booklets about safety around electricity and natural gas. Educational material on health issues for teens. Tip: Many books specifically on home schooling can be found under the Dewey Decimal call numbers 371.042 and 649.68 at your public library. This free e-book by Carletta Sanders can help you save hundreds of dollars by showing you what to buy, where to buy it, where to find freebies, how to have fun on a budget, and how to earn income from home. We live in an information age, and luckily for the budget conscious homeschooler, information is widely available in many forms for free! A free hosting service for homeschoolers wanting to learn about blogging and teaching online writing to their children. 160 templates and social networking monitored for families and homeschooling class work. Visit our Homeschool Community. Free curriculum about money, monetary policy, banking supervision, financial services, and more for elementary through high school students. 30 copies may be a bit much for one homeschool family. Home school groups, church groups, study home school groups may be just right for an ISP or support group needing 30 copies 9 times a year at a good discounted price.